Love your casually chic outfit! And the pictures are gorgeous! 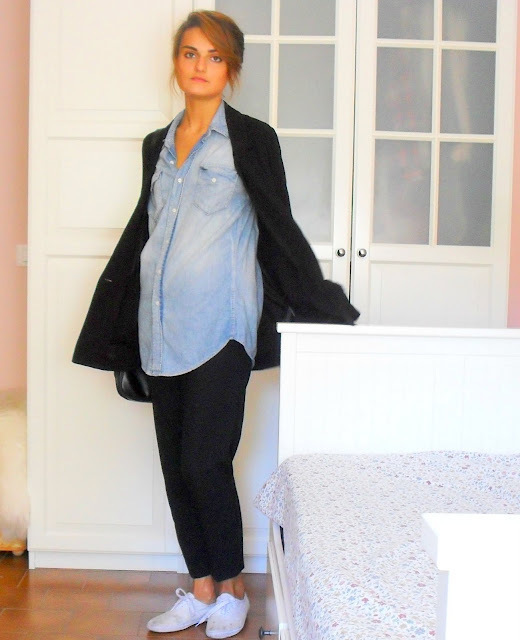 i love how you wear the oversized denim shirt with those fancy trousers! you look oh so effortlessly stunning. Looking fresh girl. Looks like a really comfortable outfit.